The Jews of Khazaria explores the history and culture of Khazaria--a large empire in eastern Europe (located in present-day Ukraine and Russia) in the early Middle Ages noted for its adoption of the Jewish religion. The third edition of this modern classic features new and updated material throughout, including new archaeological findings, new genetic evidence, and new information about the migration of the Khazars. Though little-known today, Khazaria was one of the largest political formations of its time--an economic and cultural power connected to several important trade routes and known for its religious tolerance. After the royal family converted to Judaism in the ninth century, many nobles and common people did likewise. The Khazars were ruled by a succession of Jewish kings and adopted many hallmarks of Jewish civilization, including study of the Torah and Talmud, Hebrew script, and the observance of Jewish holidays. 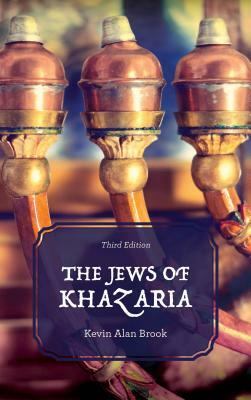 The third edition of The Jews of Khazaria tells the compelling true story of this kingdom past.